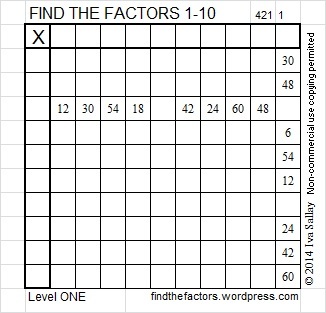 128 is never a clue in the FIND THE FACTORS puzzles. Level 1 just isn’t challenging enough for you! But it is just right for some people while it leaves some people too scared to even try it. Yeah, this one didn’t take me long, but that’s good for warming up to the week ahead. That’s a good point. Thanks.